A lottery winner just minutes away from losing out on a chance to score a big Powerball payout managed to make it with minutes to spare when she first bought her ticket at a Southern California 7-Eleven. "I got to that 7-Eleven like literally minutes before the cut-off time!" Faten Alzer said in a press release Tuesday. "I’ll never forget it." It was back in February when Alzer decided to try her hand at $269 million Powerball pot at her local Marina del Rey 7-Eleven at 4010 Lincoln Blvd. She only had about 15 minutes until the 7 p.m. cut-off time to purchase the lucky ticket. Though she did not end up winning the jackpot, Alzer's dedication to beat the clock definitely paid off — with a grand total of $669,941 in winnings before taxes. Alzer matched five of the six numbers, 24-25-38-62-63, missing the red Powerball number, 6. "I froze, honestly, for a couple of minutes and then double-checked – no, triple-checked the ticket again and then called my boyfriend," Alzer said. "Sometimes you win and sometimes you lose. And sometimes you win $669,000. I was in the right place at the right time!" Now that she's more than $600,000 richer, Alzer initially thought of investing, but ultimately landed on traveling. First location on the list: Las Vegas. "Hey, luck is on my side," Alzer said. Want to try your luck? Powerball is drawn Wednesdays and Saturdays at 7:59 p.m. PST and is played in 44 states. 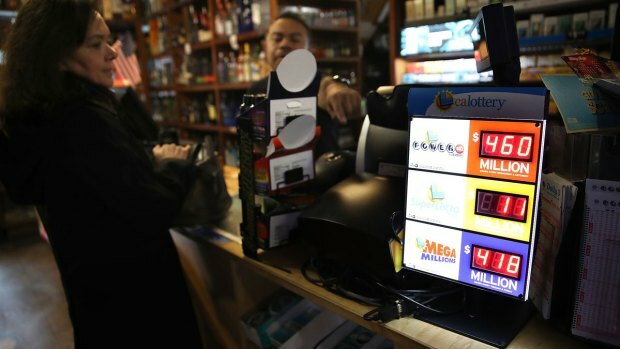 You can find the list of the California Lottery's lucky retailers here.